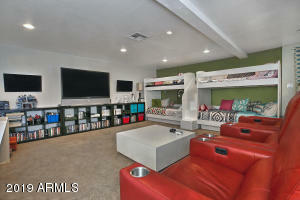 MODERN MISSION NEST! 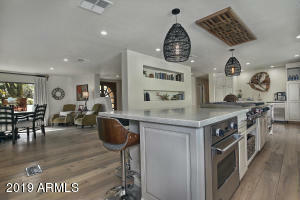 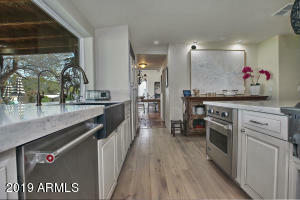 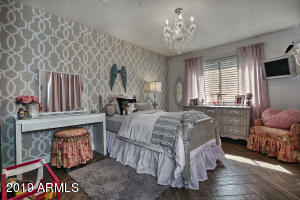 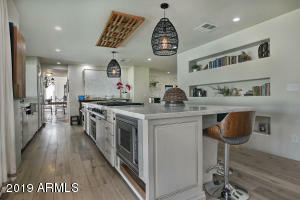 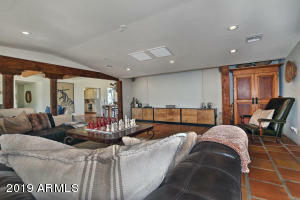 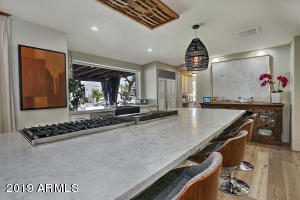 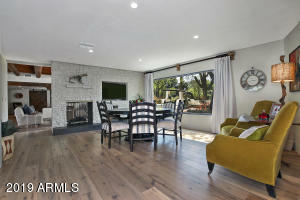 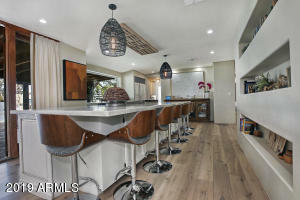 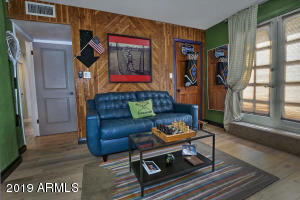 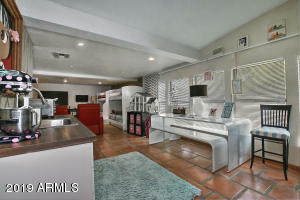 Looking for a unique home with multiple spaces to entertain, relax and play? 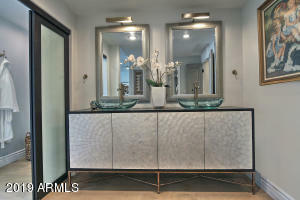 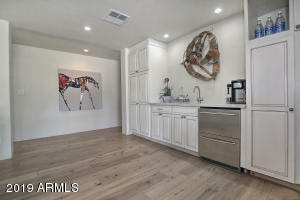 This home is a fully renovated piece of ART! 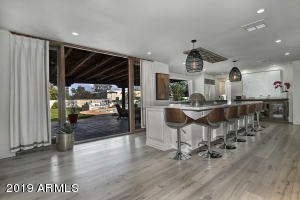 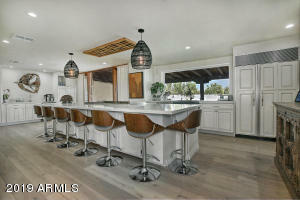 Kitchen includes stainless gas cooking with a grill on an extra large island, built-in refrigerator, beverage drawer at coffee bar, huge picture window and French doors. 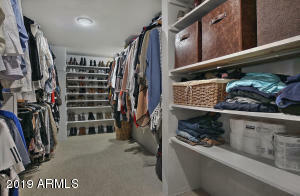 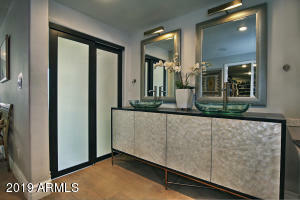 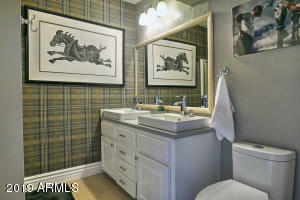 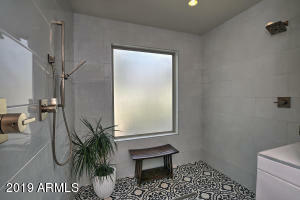 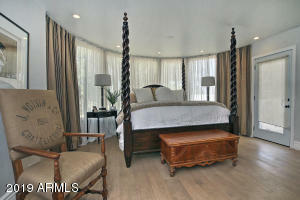 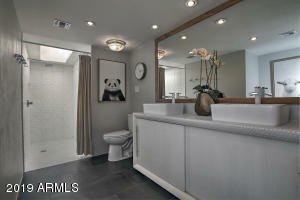 Master has large shower plumbed for a tub, walk-in closet and wood floors. 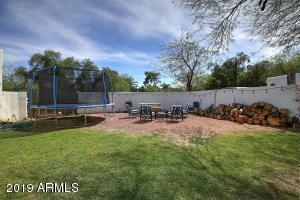 Extra large den that could be used as guest quarters with kitchenette, full bath & separate entrance. 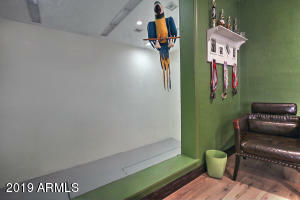 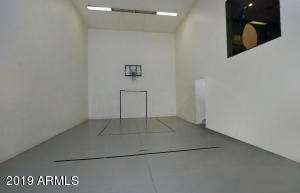 Indoor full size racquetball/sport court. 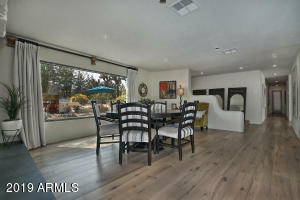 All flooring, baths, kitchen & most windows are redone. 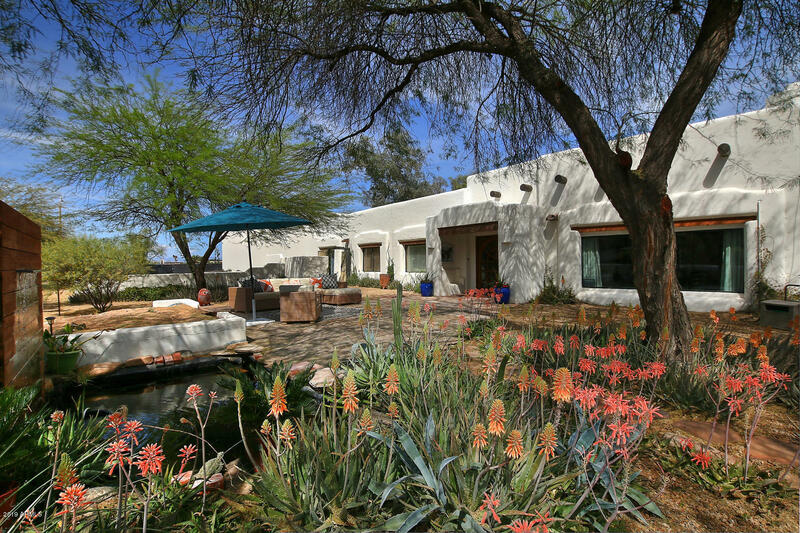 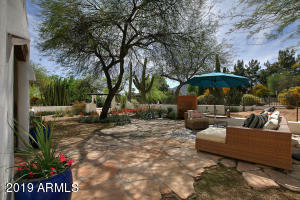 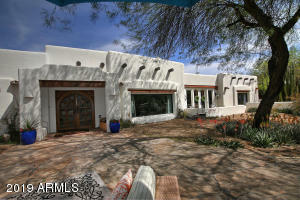 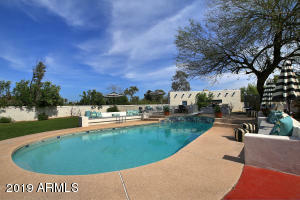 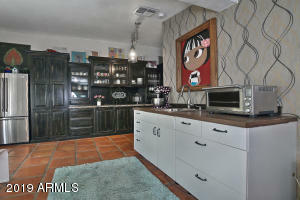 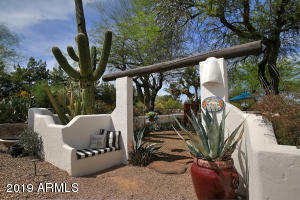 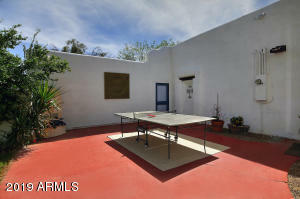 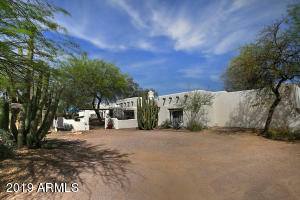 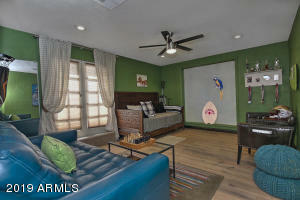 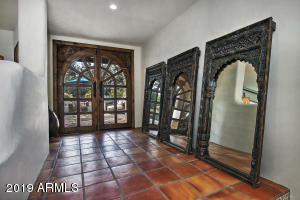 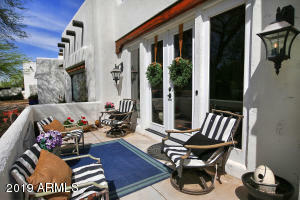 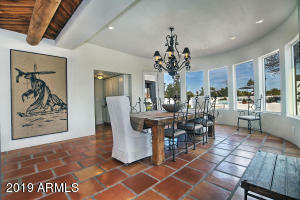 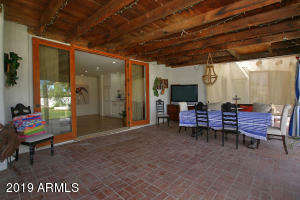 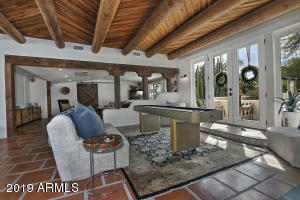 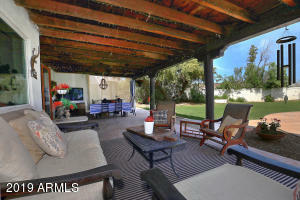 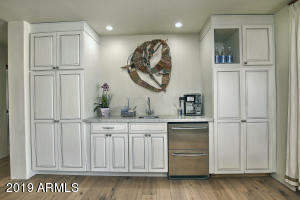 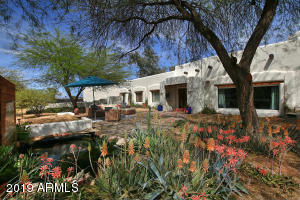 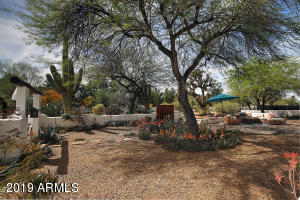 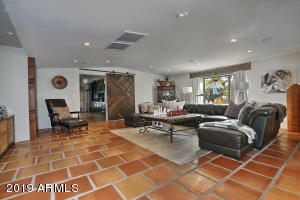 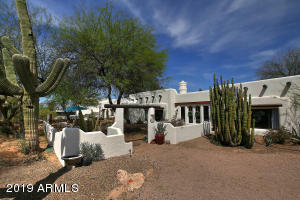 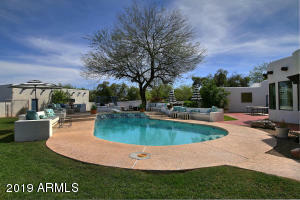 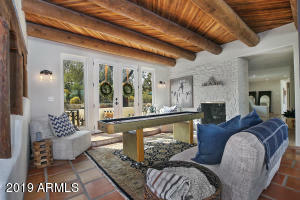 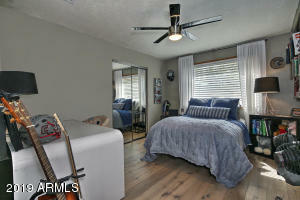 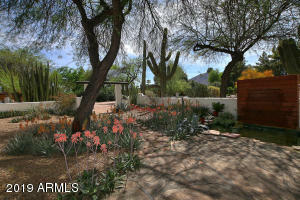 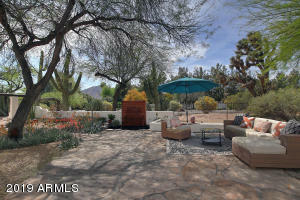 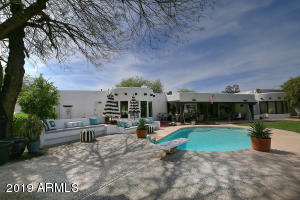 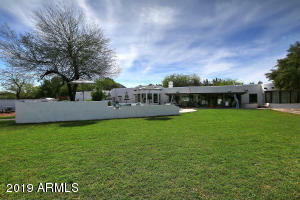 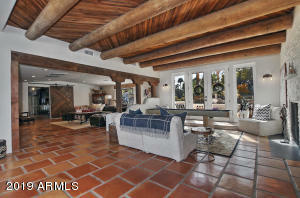 Newer roof & AC units, beautifully landscaped front courtyard with pond and Camelback mountain views. 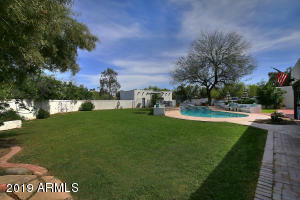 Back of property has sparkling pool, grass yard, garage & workshop. 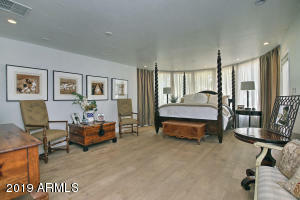 Walking distance to the New Ritz Carlton! 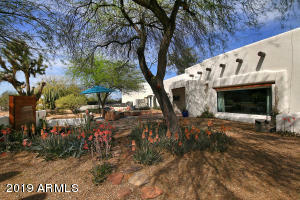 South on Mockingbird from Lincoln to the second driveway on the left.